Who got the $50? And how can I win it next? OMG! I’m so proud of the students and staff at SCC Middle School! Everyone really took on the One School One AUTHOR program with a vengeance 2nd trimester. 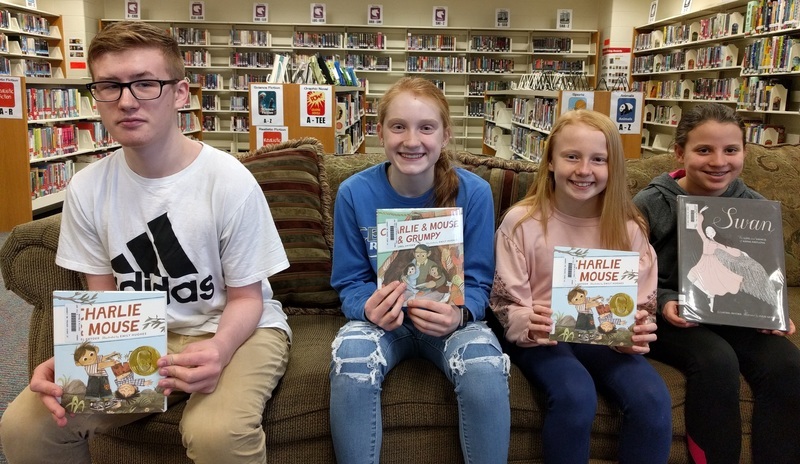 There were dozens of students and teachers who read one of Laurel Snyder's books in preparation for her visit April 16th. So without further ado, it’s time to announce the random winners for 2nd trimester chosen from those who wrote a review: Congratulations to Triton Hovis, Ellie Smith, Emery Sanders, and Kaitlyn Peissig! They will each received a Visa gift card for $50. You are awesome! But really we all got read some amazing books, so we are all winners! For 3rd trimester, back to One School One Book, but with tiny twist. To cater more to reading/interest levels we are doing one book for 5th and 6th grades and a different book for 7th and 8th grades. 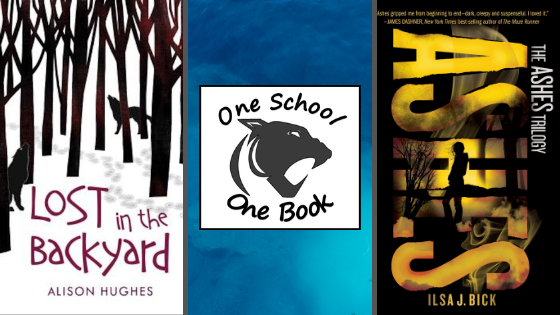 5th and 6th grade students will read Lost in the Backyard by Alison Hughes, while 7th and 8th grade students will read Ashes by Ilsa Bick. Any student who writes a review for their book in Destiny Discover will be entered into the prize drawing.